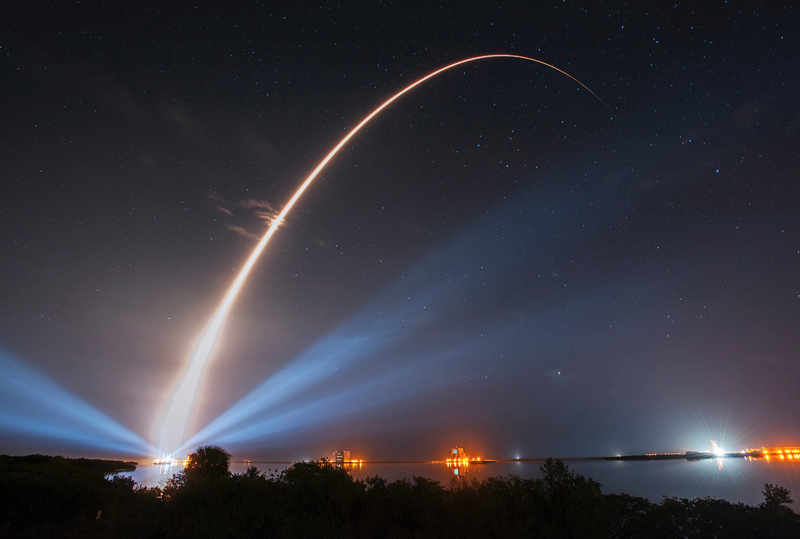 [SatNews] An Atlas V rocket lifted off creating a beautiful night launch in Florida, carrying the third Mobile User Objective System satellite for the United States Navy. Cape Canaveral Air Force Station, Florida, (January 20, 2015) – A United Launch Alliance (ULA) Atlas V rocket carrying the third Mobile User Objective System satellite for the United States Navy launched from Space Launch Complex-41 at 8:04 p.m. EST today. The MUOS-3 spacecraft will ensure continued mission capability of the existing Ultra High Frequency Satellite Communications system that will provide improved and assured mobile communications to the warfighter. ULA's next launch is the Delta II Soil Moisture Active Passive (SMAP) mission for NASA scheduled for January 29, 2015, from Space Launch Complex-2 at Vandenberg Air Force Base, California. The third Mobile User Objective System (MUOS) satellite built by Lockheed Martin [NYSE: LMT] for the U.S. Navy is now responding to commands after being launched here today. An initialization team, led by the company, is operating the MUOS-3 satellite from the Naval Satellite Operations Center located at the Naval Base Ventura County, Point Mugu, California. Prior to its launch, the MUOS-3 satellite was built at Lockheed Martin’s Sunnyvale, California, manufacturing facility. The satellite was shipped to Cape Canaveral Air Force Station on Nov. 5, and encapsulated into its launch fairing on December 18. 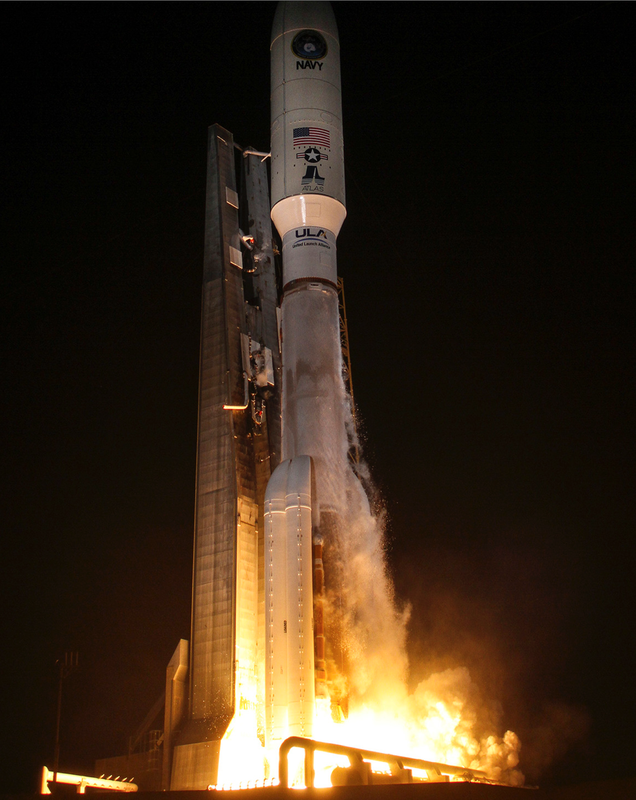 The third Mobile User Objective System (MUOS) satellite will ensure continued mission capability of the existing Ultra-High Frequency Satellite Communications (UHF SATCOM) system, and is the third satellite in the next-generation narrowband tactical satellite communications system that will provide significantly improved and assured communications for the mobile warfighter. The MUOS constellation will ultimately replace the current UHF SATCOM system, providing military users with 10 times more communications capac- ity over existing systems, including simultaneous voice (full-duplex) and data, leveraging 3G mobile communications technology. The MUOS-3 satellite will be the heaviest payload to ride into space atop any of ULA’s Atlas V launch vehicles. The Atlas V will generate more than two and half million pounds of thrust at liftoff in order to meet the demands of lifting the nearly 7.5-ton satellite. • Beyond line-of-site communication for mobile warfighters with focus on usability. • Global communications to connect any set of users, regardless of location with the exception of polar regions. • Improved connectivity in stressed environments including urban canyons, mountains, jungle, weather and scintillation. • “Bandwidth on Demand” architecture that is future upgradeable with “smarts” on the ground and accessibility to Global Information Grid (GIG), Non-secure Internet Protocol Router Network (NIPRNet), Secure Internet Protocol Router Network (SIPRNet), and Defense Information Systems Network (DISN).